Doctors in the Clinic at Vine Church in Haiti are absolutely thrilled to be using the Ultra Sound Machine you have given to them. Once they began training no one missed a day. Connie and Sheila from Sparrow Solutions Group graciously donated the training. Vine Ministry provided the room and board (delicious Haitian food). 15 women volunteered as “patients” the four days of training. Some were expecting babies and some were not. What a joy to see the movement of each tiny unborn baby. Each doctor was able to use the Ultrasound machine to locate the beating heart and determine the exact heart rate. After a few measurements the due date for each mother was determined. It is so exciting for each new mother to see evidence of new life within. Our doctors enthusiastically enjoyed using the machine. This training was just the beginning. As more time is spent learning they will be able to scan any part of the human body. Your prayers were so appreciated for this trip. 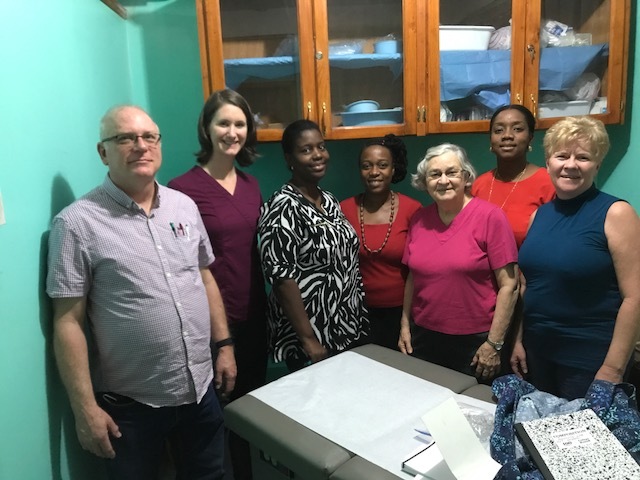 After arriving in Haiti and picked up our luggage, including the Ultra Sound Machine, our group was flagged over to another area and our bags scanned. The machine was opened and examined. Due to its value we were informed that payment was expected and it was going to be very expensive. Never once were we taken to the Customs Office but escorted to the exit. Here they explained that we needed to pay $1000 US. This would be much less than the official Custom’s Fee of over $3,000. 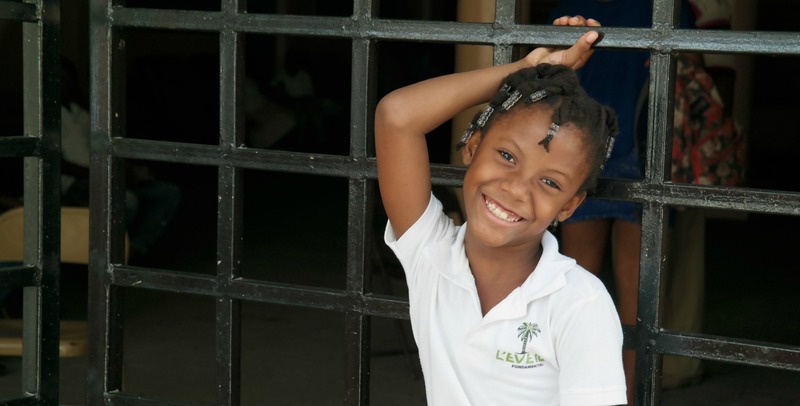 This is Haiti, so Evelyn began to bargain. The men were not accepting a lesser deal. Evelyn went outside and found her good friend who came in and continued to talk with these men. Soon we were escorted to our car and our bags were loaded. Payment of $400 US was made to the gentleman who made the deal with us and we were on our way. Praise God for His favor and good friends. Needless to say we learned a lot about bringing in medical equipment to help Haiti. Thank you for supporting the General Fund. There is much done behind the scenes to effectively provide direction for current and future projects. Please keep us in your prayers as General Fund needs greater support. We are planning visitation to churches this May. If you would like us to visit your church or group, please contact us by March 15. 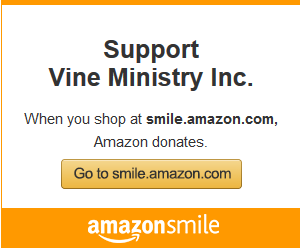 Since November 2017, Vine Ministry has received $28.72 from amazon.